As a member of a weight loss clinic in Beverly Hills or Bakersfield, you’re ready to embark on a new adventure to lose weight and live a healthier life. By participating in a medical weight loss program, you’ve agreed make several new healthy changes to your dietary and lifestyle habits. As you work towards losing weight and living healthier, you have the opportunity to expose yourself to many new experiences and healthy locales like farmer’s markets. Farmer’s markets are filled with fresh fruits and veggies that your local grocery store may not carry. Though a local farmer’s market is far from the likes of a chain grocery store, learning to navigate the market just as you would your favorite supermarket will help you keep your diet healthy after your medical weight loss program. Here are some tips for getting the most out of a nearby farmer’s market in Beverly Hills or Bakersfield. Shop early and often. The produce displayed at a local farmer’s market comes straight from the fields of local farmers. Unlike your grocery store, local farmers do not source goods from thousands of miles away—their goods come straight from their backyards. Depending on the growing season and how much is grown, the amount of available produce may be limited so it’s best to get there as early as possible so you can grab your favorite goods. Take advantage of the season. Since local farmers grow their foods nearby, they can wait until the last minute to pick their produce before offering it to you a few short hours later. This allows the farmers to let the produce ripen fully on the vine before harvest (unlike most fruit you find in the grocery store which has traveled thousands of miles after being picked prematurely). Vine-ripened produce tastes much better and is more nutritious than shipped produce—but you’ll have to find this out for yourself! Bring your own reusable bags. Farmer’s markets are all about being “green.” Join in the spirit of saving the environment by bringing your own reusable shopping bag to hold all of your fresh nutritious goods. You can find nylon or canvas reusable shopping bags online or at a local grocery store. Think you’re ready to become a true farmer’s market insider and add some delicious fresh produce to your medical weight loss diet? 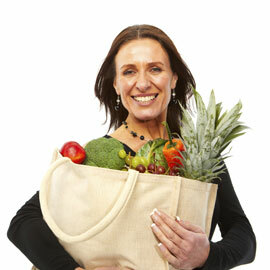 Check out these local markets nearby your weight loss clinic in Beverly Hills and Bakersfield. For shopping close to your weight loss clinic in Beverly Hills, check out the Beverly Hills Farmer’s Market located on 9300 Block of Civic Center Drive. The market is open on Sundays from 9 am to 1 pm. This local market has live music and a petting zoo every other week, so bring the whole family for some healthy Sunday fun. For shopping close by your weight loss clinic in Bakersfield, head over to Kern Farmer’s Market located on 3201 “F” Street near the Golden State Mall. This Certified Farmer’s Market is open every Saturday from 8 am to noon (except on Christmas Day). Have you ever visited one of these farmer’s markets during medical weight loss? Tell us about it in the comment section below.